UPDATE - UPDATE - UPDATE: more reasons to celebrate! Bobbyscot second in Listed Race and thus gaining valuable Blacktype! 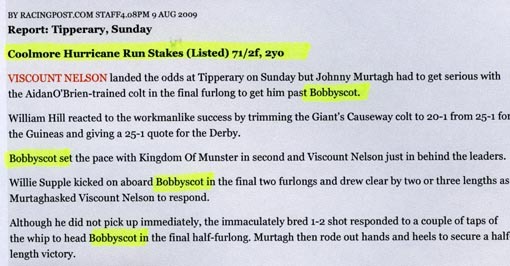 After winning his maiden race in Leopardstown only 3 weeks ago, Bobbyscot finished 1/2 lenghts second to the very highly thought of Ballydoyle colt Viscount Nelson (Giants Causeway - Imagine) yesterday. 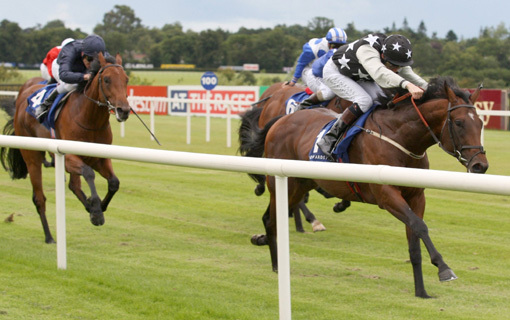 J. Murtagh had to work very hard to gain the upper hand only in the last 100 yards. 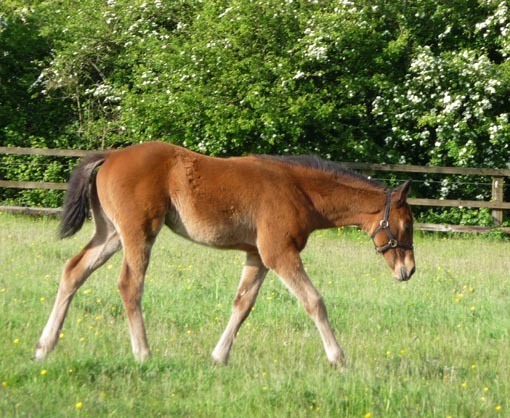 This was a great run for Sogno Verde\'s first produce who has steadily progressed with every run and has now gained some most important blacktype for his family. We are looking forward to producing his Acclamation half brother for the November Sale in Goffs. 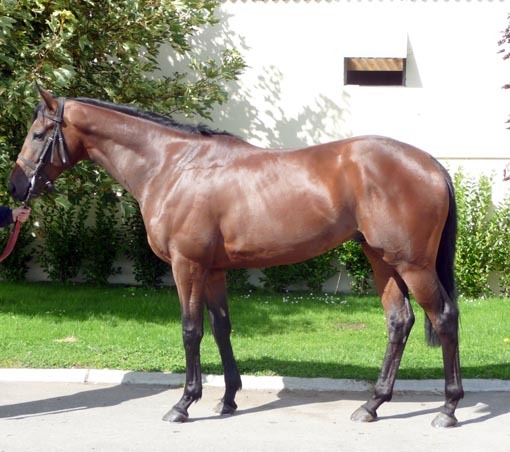 Sogno Verde is in foal to Coolmore\'s promising young sire Dylan Thomas (by Danehill). 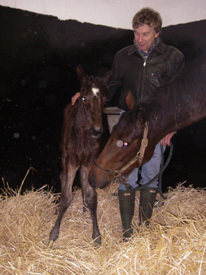 Sogno Verde's lovely 2009 colt by Acclamation. 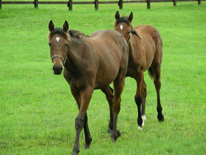 He will be offered for sale at Goffs November Foal Sale.